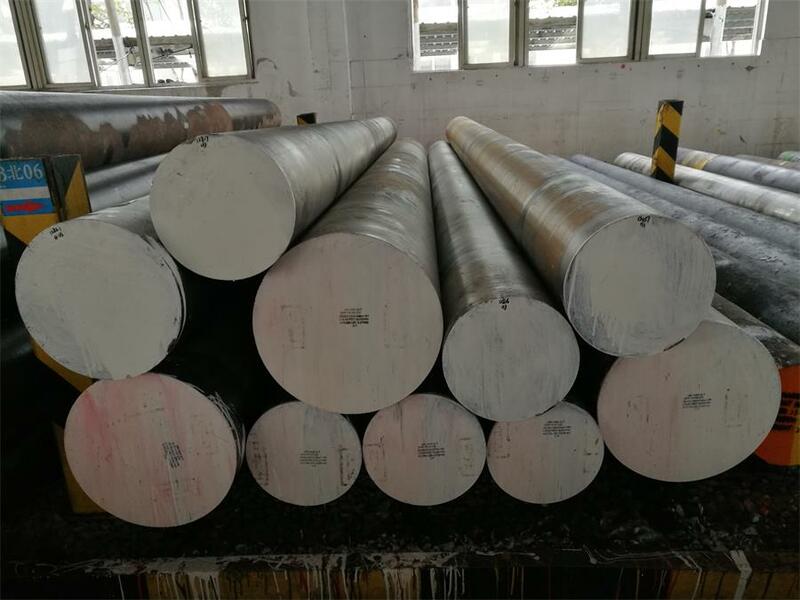 AISI 4140 steel is Chrome-Moly High Tensile Steel which has at least 0.8%Cr,0.15%Mo as strengthening alloy elements.The chromium content provides good hardness penetration, and the molybdenum content ensures uniform hardness and high strength. 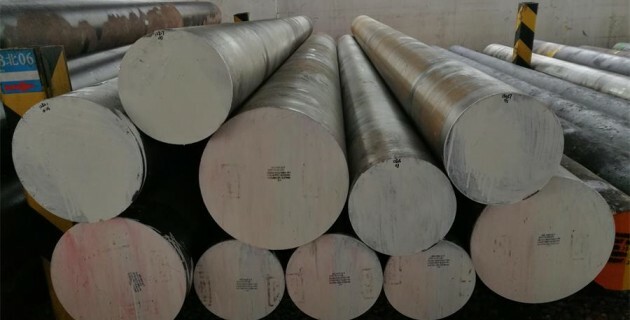 AISI 4140 steel can be oil hardened to a relatively high level of hardness with a tensile strength of 850 – 1000 MPa.AISI 4140 offers a very good balance of strength,toughness and wear-resistance.Compared with AISI 4130,it has a slightly higher carbon content which gives greater strength and heat treatment capabilities , however it is poor in weldability.Pre hardened and tempered 4140 can be further surface hardened by flame or induction hardening(can be surface hardened to a typical value 58HRC)and by nitriding( Surface hardness achievable is 600 to 650HV). Forging temperature should be carried out between 1100℃-1200℃.Hold the temperature till uniform before forge,minimum forging temperature 850°C,cooling in sand after forged is recommended. Average cutting speed of 110 ft/min. AISI 4140 is commonly used for a variety of applications in the oil and gas ,aerospace,automotive, agricultural and defense industries. Adapters, Arbors, Axle Shafts, Bolts, Crankshafts, Connection Rods, Chuck Bodies, Collets, Conveyor Pins & Rolls, Ejector Pins, Forks, Gears, Guide Rods, Hydraulic Shafts & Parts,Lathe Spindles, Logging Parts, Milling Spindles, Motor Shafts, Nuts, Pinch Bars, Pins Various, Pinions, Pump Shafts, Rams, Sockets, Spindles, Sprockets, Studs, Tool Holders, Torsion Bars, Worms etc.